Under the auspices of UNESCO and the University of Quebec in Montreal (UQAM) , in 1994, Orbicom consolidates today as a worldwide network with 250 associate members and 30 UNESCO Chairs in Communication. It currently has Chairs in Germany, Australia, Brazil, Bulgaria, Chili, China, Colombia, South Korea, Denmark, United Arab Emirates, Spain, U.S, France, Georgia, Guatemala, Kazakhstan, Lithuania, Morocco, Mexico, Peru, Dominican Republic, Russia, South Africa and Uruguay. In each of the Chairs participate leaders and professors of communication processes, both private and public sector involved. The international collaboration of academics, leaders of the business world, public policy consultants and specialists in media, make Orbicom a unique network of its kind, for its multidisciplinary nature in the promotion of the communications development. This conference proposes, first of all, to interrogate the freedom expressions concept in itself: does it cover the same reality in all countries of the world? What to do, in the democracies, where limitations are brought by the law,, rules, or legal decisions? The possibility for everyone having access to internet to share information, the relatively legal vacuum created by the international dimension of the web, today’s high economic stakes, and by last, the professionalization of the digital practices of the states and the different social groups, all modify at the same time the stakes and the implementation of freedom of speech..
All these issues will be explored during the annual meeting of the members of the International Network of UNESCO Chairs in Communication (ORBICOM). The cities are becoming more important in shaping human life, not only from the point of view of the space, the economy and consumption that occur there, but also as a communication structure, as a system in which interrelationships are woven between all those who inhabit it and who configure the identity and way of being of each particular city. Analyze and discuss all this framework of urban growth, its impact on communication and the development of humanity is what is proposed by the International Congress "Communication, City ​​and Public Space ". It has also been an opportunity to exchange various experiences over our cities and provide an overview of Lima, venue of this event. 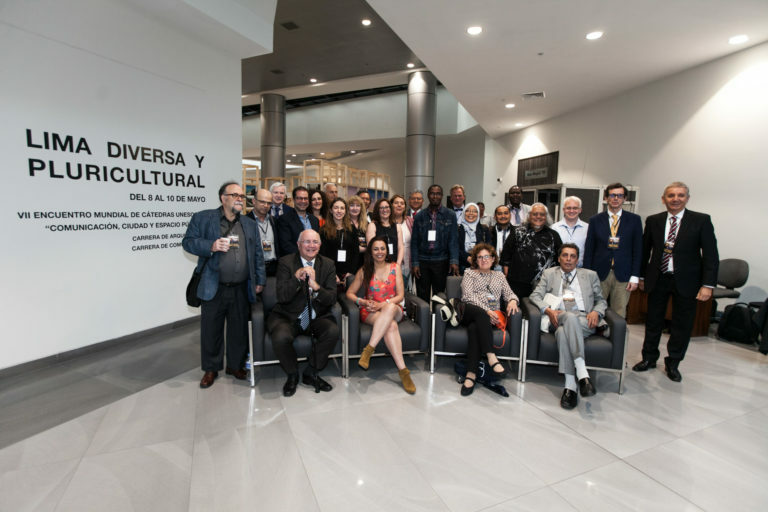 All these issues were explored during the annual meeting of the members of the International Network of UNESCO Chairs in Communication (ORBICOM). 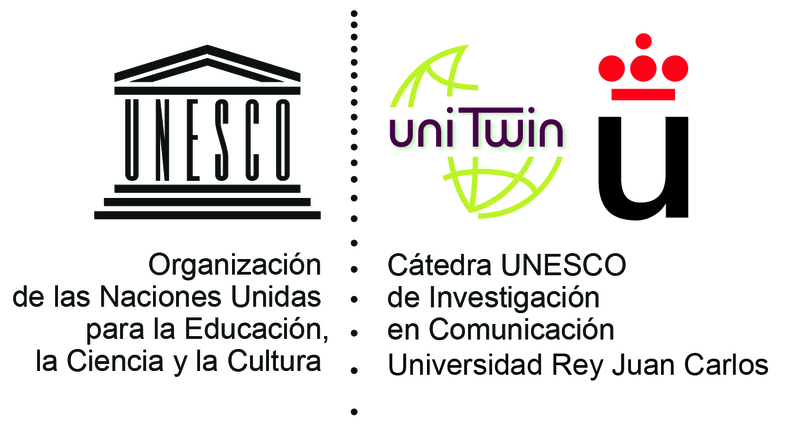 Reunion organized by the UNESCO Chair in Communication and Culture of Peace, University of Lima. Social media can bring the governed closer to the rulers, highlighting the good moves of a company, as well as the less good ones. Social networks can inspire enthusiasm and, conversely, the return of old prejudices. They can lead to solidarity's gestures or exclusion. What transformations do social networks really generate? What are the impacts on individuals, political systems, relations, organizations, etc.? 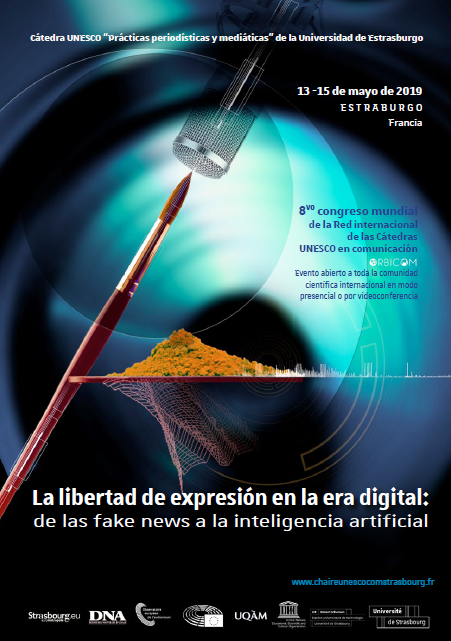 All these issues were explored during the annual meeting of the members of the International Network of UNESCO Chairs in Communication (ORBICOM). Reunion organized by the UNESCO Chair in emerging technologies and practices in communication for development, University of Bordeaux-Montaigne.